Fintranet, Globecon's e-learning platform, provides an industry-specific approach to e-learning, focused on the most relevant needs for each user in the area of finance. PALM participants will have: access to the e-learning courses before the program date. a multimedia CD with a sample course. Up to 50% discounts companies executive and staff if they register them within 60 days following completion of the program. PricewaterhouseCoopers's proprietary offering – the Global Best Practices knowledge base –provides access to the most current best practice, benchmarking, and risk & control information. Executive coaching helps the best business people get even better. Primarily future-focused, executive coaching targets techniques and insights that make a positive and profound difference to personal business effectiveness. Talent Q, a global consulting firm, will offer each participant three online assessments using a unique ability testing system, along with a one-on-one coaching session to discuss the participant's personality profile in detail. Coaches will be scheduled during the program for Limited number of participants on a "first come, first served" basis. MILE will organize a complimentary crash course on leveraging Web 2.0 technologies for the modern executive. This can help participants and their businesses improve their search engine listings and rankings and create a wider network for collaboration through social media. "Successful Executive Handbook" is an indispensable reference for all executives. With more than one million copies in print, this handbook is a trusted favorite with leaders in Fortune 500 and Global 1000 companies. "Memory Jogger"is a series of pocket guides that help executives learn and apply tools, methods, and processes that are critical to attaining world-class organizational excellence. "Mind tools" teach practical, proven skills which provide high personal effectiveness, good leadership, career success –and even happiness!CD with Industry and functional specific "Thought leaderships" publications by the Global Consulting Firms. 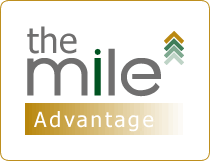 MILE believes that executive development should address all four aspects of personal development intellectual, physical, emotional, and spiritual. The International Medical Center has generously extended an opportunity to all participants to have a medical checkup during the program, along with nutrition and dietary advice. Four Gala Dinners will be held, each with a keynote presentation by a prominent speaker. These events offer participants an excellent platform to network with prominent local/ regional businessmen and senior executives. Several field trips will be organized around Madinah to historic Islamic sites. These are led by professional tour guides holding qualifications in Islamic History. Participants will have the opportunity to discuss and link the insights of Islamic concepts and practices with modern day business management requirements. Umrah is an optional and complimentary part of the program sponsored by MILE for Muslim participants during the middle weekend of the program. MILE will make necessary arrangements for required attire, transportation, and accommodation needed for the pilgrimage.